To set the record straight, your social media presence has a significant influence on your search engine rankings. Social media is a major player nowadays in the online world, and no one can deny it! 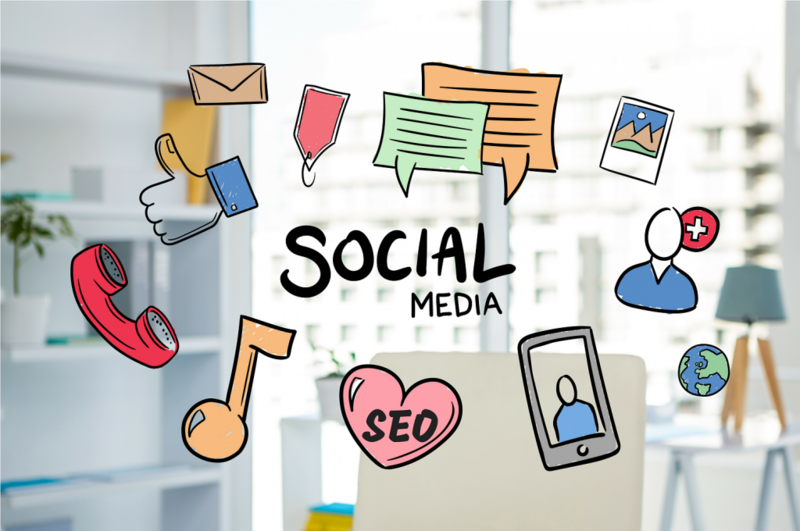 Now, the question remains in how you should optimize social media content for search engines to gain greater visibility. Well, we have got you covered here! Learn the golden 5 ways you can optimize social media content for search engines. Don’t forget to pay close attention! While you can find numerous recommendations on the web on how many characters your posts should be on each social platform, there is just one golden rule you really should follow. What’s that? Make it short! As short as possible! People simply love it when social content manages to say it all concisely. In fact, when Neil Patel at Quick Sprout tested this, he found out that shorter posts with only one sentence and less than 40 characters generate 2-6 times higher click-through rates than posts with paragraph-long content. So, just use all of the words you need, not a single word more! That is the question your customers ask to themselves when considering to buy from you or click on a link you want them to. So, however creative you compose that social media content of yours, you should always make it clear what’s the value of it for them. In other words, you should make your social media content all about them, not you, trying to sell. Do a research on your targeted audience and understand their problems/pains and the value they seek in what you offer. What problems do they have that you can solve with your offerings? What’s the value in your products/services for them? Why should they choose to do what you want them to do? The answers of these questions should then be reflected in your social media content to maximize your CTR. They will click! It won’t be news to you that keywords matter a lot in a brand’s visibility in today’s online world, will it? Well, keywords do matter significantly, and in social media too! A single social media post with the right keyword(s) and hashtags can potentially bring lots of traffic to your page. Keywords make it much easier for social media users, including your followers, to find your profile, check out more of your similar posts and even visit your website by simply clicking through a link. Now, don’t waste even a single minute! Carefully select the right keywords for your brand and go ahead and use them in your social posts, links, hashtags to optimize social media content for search engines. People love images on social media, and there is nothing you can do about it. As a matter of fact, Facebook posts with photos generate 53% more likes, 104% more comments and 84% more click-throughs. Moreover, your social media followers are 65% more likely to remember a piece of information that is paired with a relevant image after 3 days, rather than without an image. Is that enough proof to convince you that you shouldn’t ever again post without an image? Great! What about Video? Even greater! Here are some astonishing video marketing stats for that extra convince! Very often, when you make a post on your social media platforms, you also include a link in the main post content. You have the freedom to place that link wherever you want to; at the end, in the middle or right from the start. Obviously! But it turns out there is a common best practice to follow here, so not much freedom, I guess! Links that are placed at the beginning of social media posts usually revive the most click-throughs. Aha! So, the next time you make a social posting, make sure to place that link upfront of your social media content for search engines. Now, go ahead and practice these golden 5 ways to optimize social media content for search engines! They are very simple, yet so effective. And, in case you were wondering what some ways here had to do with search engines, just remember, click-throughs are the best signals for search engines. There you go! Have fun!